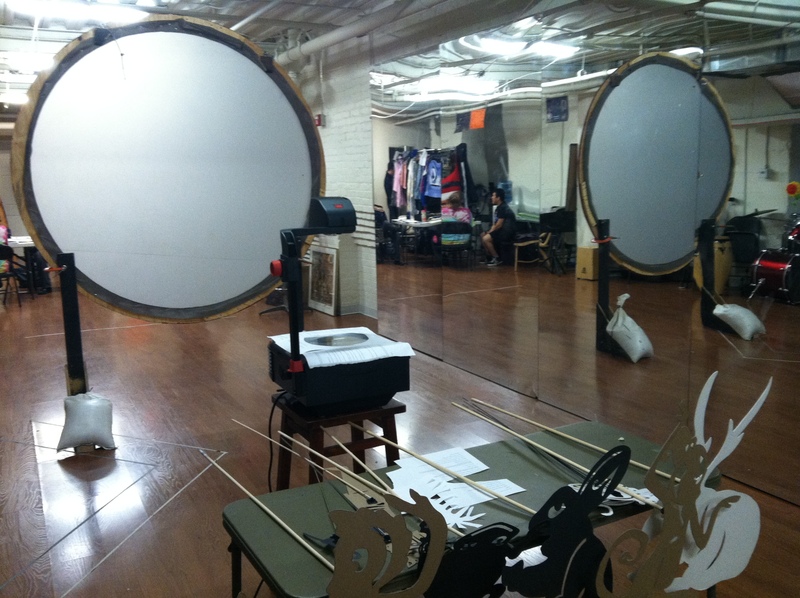 The setup behind the shadow screen, with projector and puppet tables. 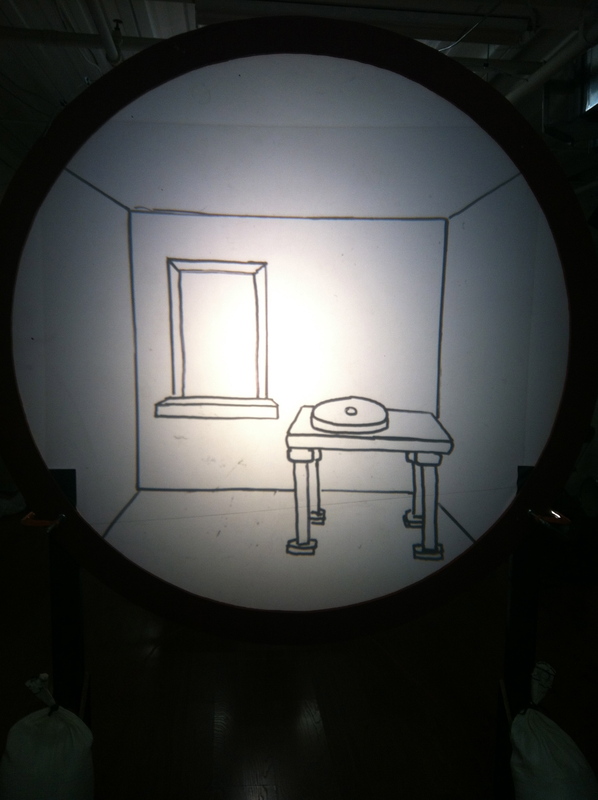 One of the backgrounds for shadow puppets, drawn by Amy. 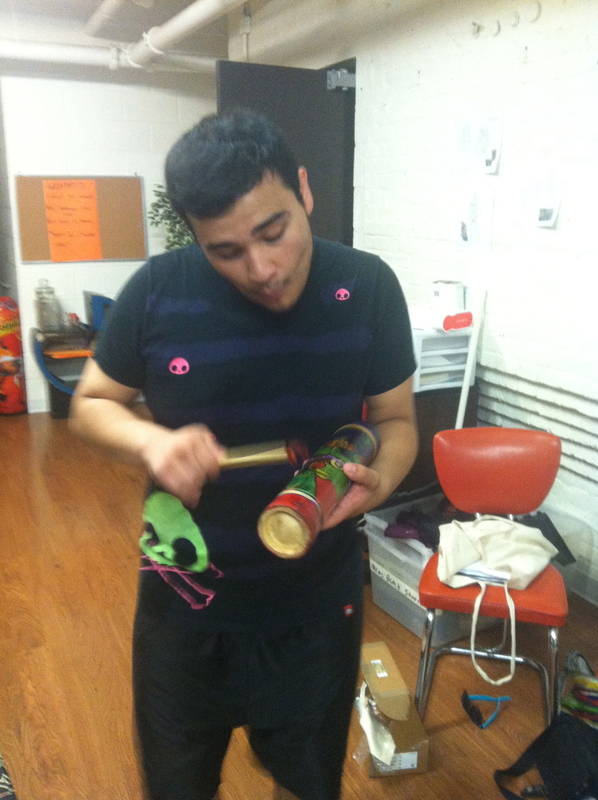 Cast member Jose Pineda, trying out one of our percussion instruments. 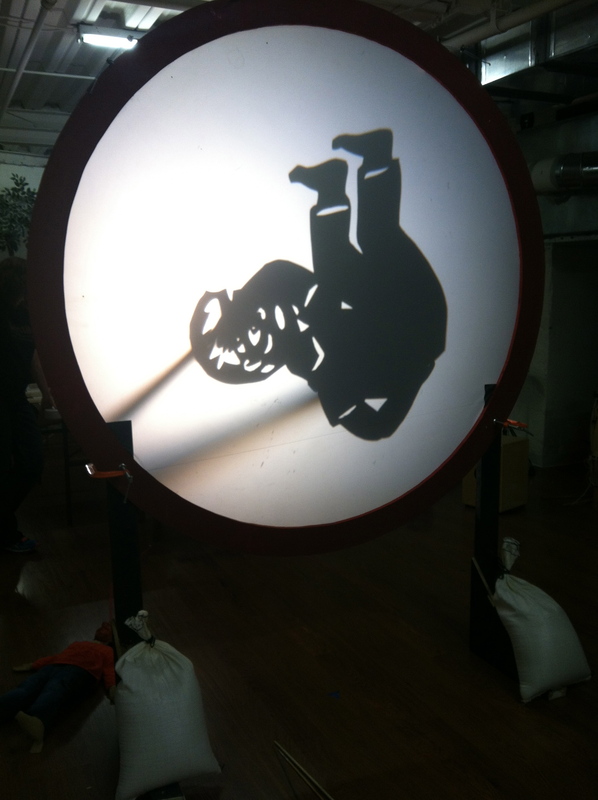 Playing with a shadow puppet on the projector. 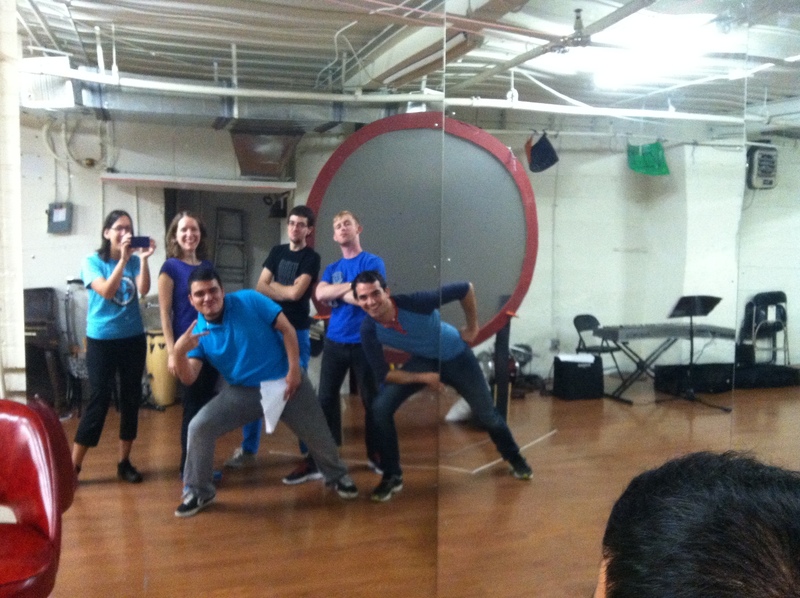 The cast, director and stage manager who somehow all managed to wear blue on the same day. This entry was posted in Rehearsals and tagged Fabulas Mayas, GALA Hispanic Theatre, puppetry, rehearsal photos, shadow puppets by ccbooks. Bookmark the permalink.